Josh Peckler - Jpeckler@shawmedia.com Gwen Rosegay of Mchenry helps put a jersey over the football pads of her son Nathan, 10 before a football practice for the McHenry Township Junior Warriors 3rd and 4th grade team at Pro Player Consultants in Mchenry Wednesday, November 7, 2012. 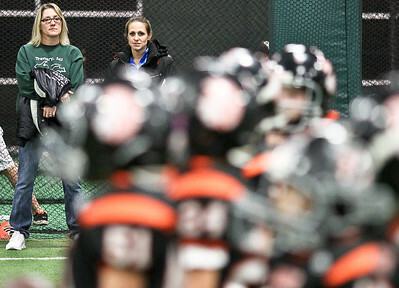 Josh Peckler - Jpeckler@shawmedia.com Christina Rounds and Dannette O'Brien watch their children during a football practice for the McHenry Township Junior Warriors 3rd and 4th grade team at Pro Player Consultants in Mchenry Wednesday, November 7, 2012. Josh Peckler - Jpeckler@shawmedia.com Joe Heinmiller facilitates a hitting drill during a football practice for the McHenry Township Junior Warriors 3rd and 4th grade team at Pro Player Consultants in Mchenry Wednesday, November 7, 2012. 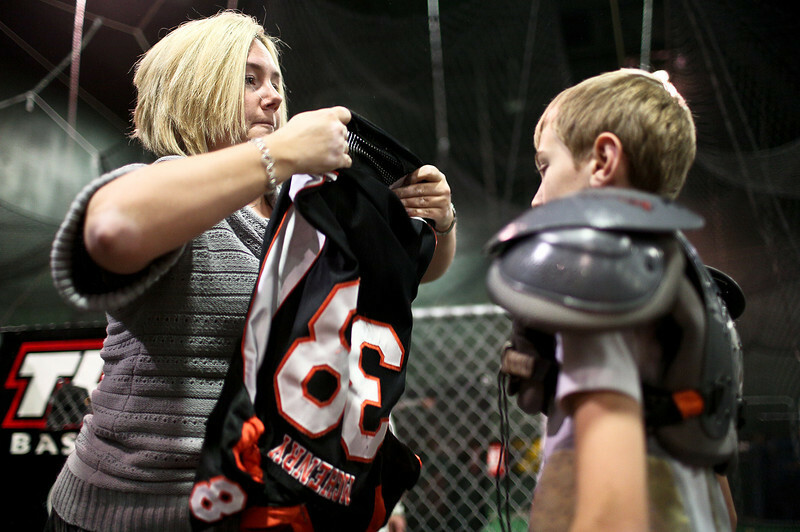 Gwen Rosegay of Mchenry helps put a jersey over the football pads of her son Nathan, 10 before a football practice for the McHenry Township Junior Warriors 3rd and 4th grade team at Pro Player Consultants in Mchenry Wednesday, November 7, 2012.